Impartial & Unbiased We work for and report only to you. A class-leading, personal service for prospective drivers of pre-owned Porsche sports cars that will save you money! 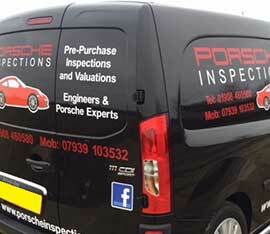 We aim to be the leading provider of private client Porsche pre-purchase inspection services in the UK. Within our defined central, southern England operational area and required safety conditions, we go to wherever the car is located. As well as the mainstream sports cars, we have specific in-depth experience of the classic 911s and the faster contemporary 911s (996/997 GT2, GT3 and Turbo). We use Porsche PIWIS 2 diagnostic software and data to establish authenticity, originality and actual mileage of the post 1997 models. If you are looking to spend a few thousand on your first Porsche or add a piece of exotica to your collection we can help. 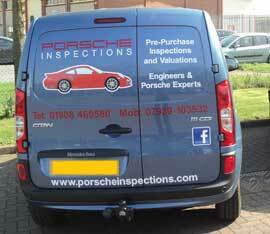 Please note that we only inspect Porsche sports cars and so cannot help with Cayennes, Panameras or Macans. The Porsche Inspections team have many years hands-on Porsche experience and have been the UK's leading mobile Porsche inspection consultancy for around 17 years. We combine extensive Porsche repair experience and an in-depth knowledge of Porsches modern and classic. Whether the Porsche is a 991, 911 Classic or any model in between, we are equipped to perform a thorough inspection. We work routinely with all the modern and classic Porsches at a professional level. Since Peter Morgan’s retirement the company has continued to grow and develop more technical checks to keep at the forefront and stay relevant to the modern Porsche models. Our broad network of contacts helps us to keep us up to date with new developments and the potential issues of specific Porsche models. We have a huge database which contains information for particular models, specifications and chassis & engine numbers - especially useful when checking special editions or rare / valuable variants. Bob has owned various GT Porsche models over the years and has an interest in all of the faster variants. He has a particular eye for detail and can see a write off at a hundred paces. Anthony spent many years working on the newer Porsche models but always had an unhealthy obsession with the front engined cars such as the 924, 944, 968 and 928. Rare and unusual cars are a particular interest. You can contact us by phone, email or social media. We inspect the car, usually within 5 working days. 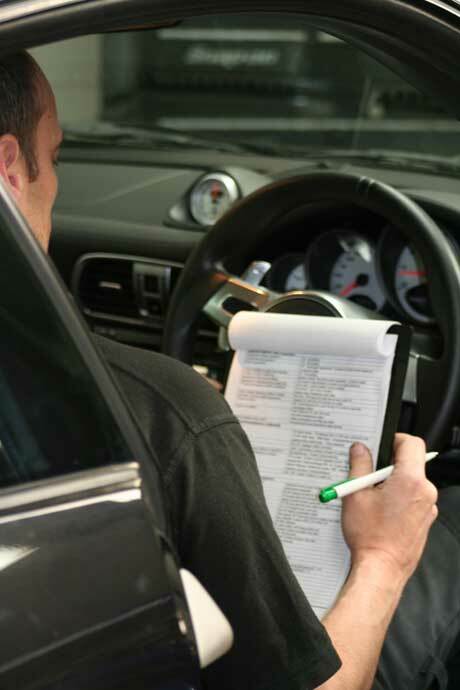 A 230 point inspection, HPI check, advice on value and appraisal of the documentation and service history. Post-inspection we call you to discuss the results. Within c. 24 hours you receive a written report, typically 20 pages. As we do not subcontract our work we are only able to cover a certain area of the UK. Inspections in central London will be carried out at our discretion and depend on the seller having a suitable safe area with adequate parking. The map below shows a rough outline of coverage. If you are looking to purchase a car from outside our usual area we may still be able to assist or know another party that can help. We regularly update Facebook and Instagram to show what we are doing, join us online to keep up to date. Disclaimer: This is an independent website. There is no association with Porsche AG or any of its subsidiaries and the name of Porsche is used here only for identification purposes. All views contained herein are the authors own.